Celestine Lyngdoh is a minister in Chief Minister Mukul Sangma's cabinet, while Mr Gandhi appointed Vincent H Pala the working president of the Meghalaya Pradesh Congress Committee. 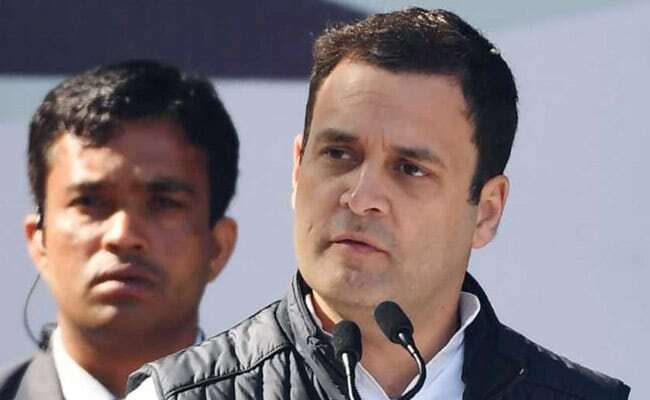 New Delhi: A day after five Congress MLAs resigned from the Meghalaya Assembly to join NDA constituent NPP, party president Rahul Gandhi today appointed Celestine Lyngdoh the new state unit chief replacing DD Lapang. Mr Lyngdoh is a minister in Chief Minister Mukul Sangma's cabinet. Mr Lapang will be an adviser to the state unit. Mr Gandhi appointed Vincent H Pala the working president of the Meghalaya Pradesh Congress Committee. He formed a 13-member pradesh election committee under Mr Lyngdoh, with Mukul Sangma as a member. The state goes to polls early next year. In a setback to the Congress in Meghalaya, eight MLAs including five from the party, yesterday resigned from the assembly to join NDA-affiliated National People's Party (NCC). With the resignations, the number of Congress MLAs in the 60-member Meghalaya Assembly has come down to 24. Mr Gandhi also formed an election committee, campaign committee and media committee of the Nagaland Pradesh Congress in view of elections in the state, AICC general secretary Janardan Dwivedi said in a statement. K Therie will be the chairman of the election committee for Nagaland. Ayangba Aonok will head the campaign committee, while Captain GK Zhimomi will lead the media committee.